The most amazing machines on earth, collected in the most amazing book! Leaf through the colour photo spreads and feel your jaw drop. Lifters and loaders stronger than any beast. 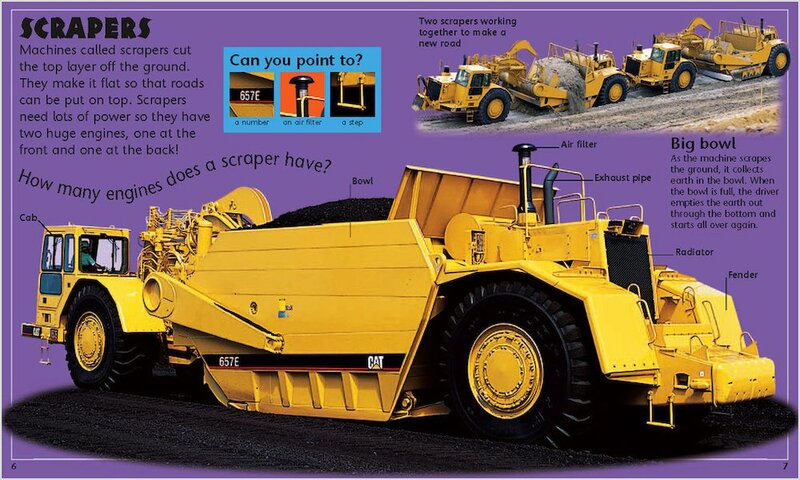 Huge haulers that can shift anything. Ginormous cranes which tower in the sky. The tough trencher with a giant chainsaw sticking out! The rock saw that slices through cliffs! 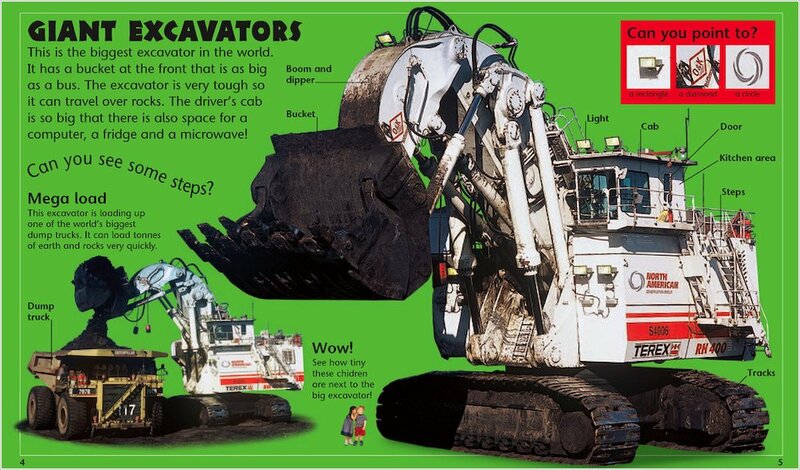 Learn about each machine. See what parts it has. Find out what work it does. 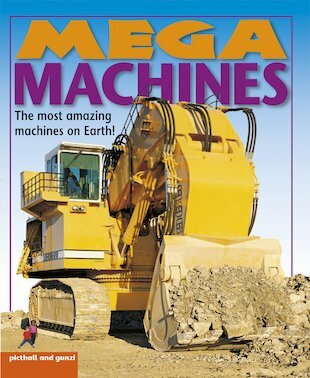 If you’re mad about machines with mega strength and mega power, marvel at them in this mega book!